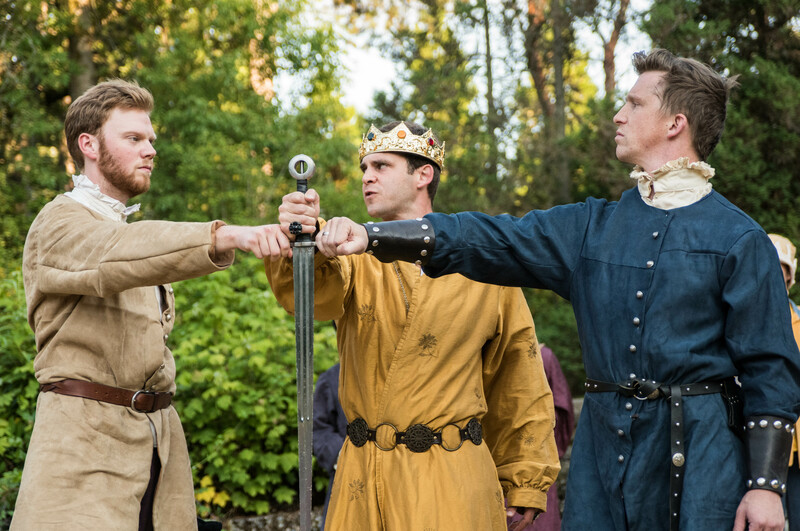 Lower Woodland Park is a great place for a play, and we’ll have double features of our two Shakespeare in the Park shows, Richard II and The Comedy of Errors, on both Saturday and Sunday. Meanwhile Backyard Bard takes Hamlet and A Midsummer Night’s Dream to Wallingford and Ballard this week. We had gorgeous weather for our opening weekend and the Seattle Outdoor Theater Festival, and the forecast for this weekend looks great as well. So grab your blanket, pack a picnic, and go see a play! It’s all free, and we joyfully accept donations! Check our schedule page for times and places for all of our plays for this weekend and beyond. Our season runs through August 19.